M. F. Armstrong (Mary Frances), d. 1903, Helen W. Ludlow (Helen Wilhelmina), d. 1924, and Thomas P. Fenner Hampton and Its Students. By Two of Its Teachers, Mrs. M. F. Armstrong and Helen W. Ludlow. With Fifty Cabin and Plantation Songs, Arranged by Thomas P. Fenner. Hampton and Its Students. By Two of Its Teachers, Mrs. M. F. Armstrong and Helen W. Ludlow. 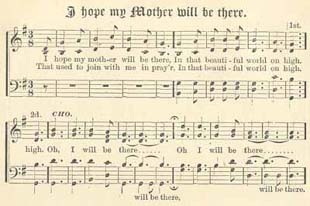 With Fifty Cabin and Plantation Songs, Arranged by Thomas P. Fenner. New York: G. P. Putnam's Sons, 1874. African Americans -- Education (Higher) -- Virginia -- Hampton. Education -- Virginia -- Hampton -- History. Hampton Normal and Agricultural Institute (Va.) -- History.